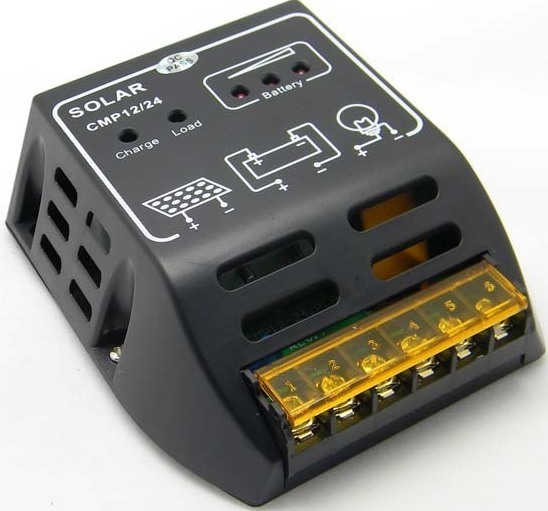 This is one of those 12V / 24V 10A Solar Charge Controllers you see on Ebay for around $15. Model "CMP12" or "CMP12/24". Taking it apart you find that it's a really simple circuit, just a couple of ICs and some mosfets. This is NOT a PWM charge controller, just simple on/off. 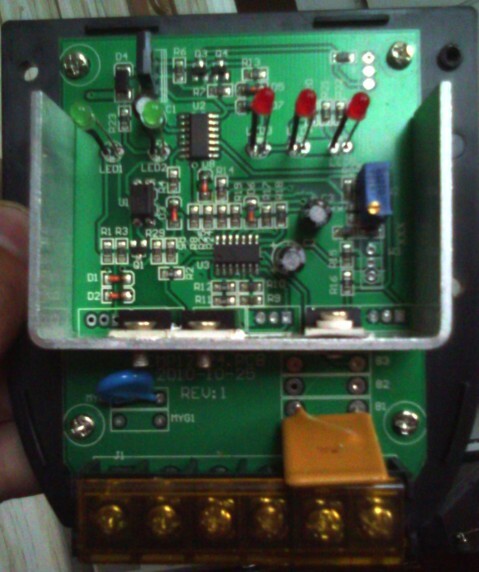 The surprise is that there are three RU6099R mosfets. They are rated at 90A ! The TO-220 package limits them to 75A though, which is still pretty high. 60V max. .006 ohms typical on resistance. And there is room for 3 more on the board! 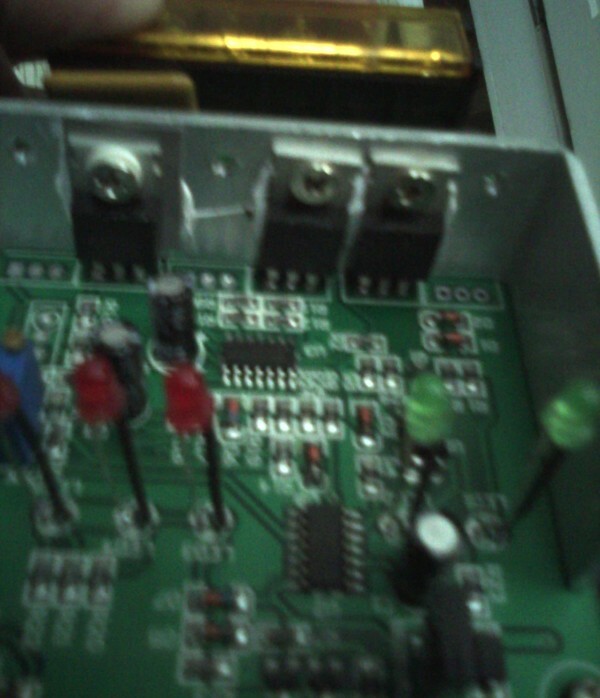 One of the mosfets is for switching on and off the load, "light bulb". If you were not using the load, you could use that mosfet as a replacement spare. I am thinking that with a little beefing up of the circuit traces on the bottom side by adding some bus wire and more solder, and maybe adding more metal to the heat sink, you could make this into a nice 20A to 40A controller! You couldn't build something like this for $15. It's possible that not all of these have a overrated mosfet in them, but this one did so if you get one you will need to check the mosfet part numbers before you make any further mods. But the circuit board does have places for more mosfets connected in parallel, and better mosfets are available online. The two regulating mosfets are connected in series so that one acts like a diode but is turned on during operation so that you don't have a diode voltage drop during the day! Very nice. 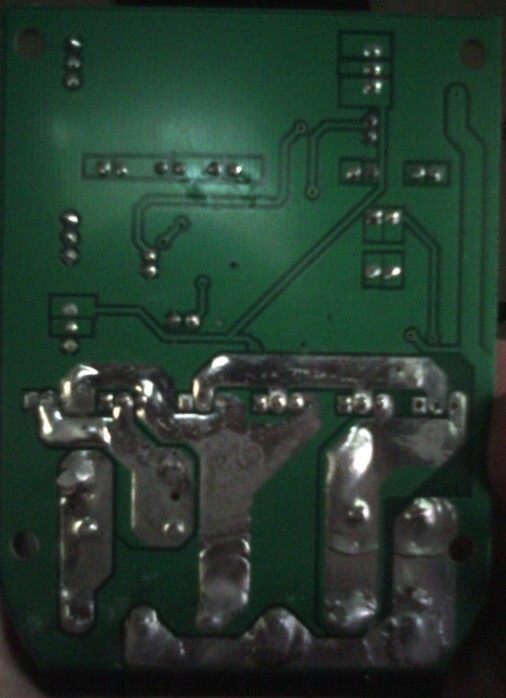 Pics of the insides, with the solder side of the board follow. A pot for adjusting something? 3. protection from the lightning strike. Thanks to "brownbrve" for the pics!